Hello stampers!! 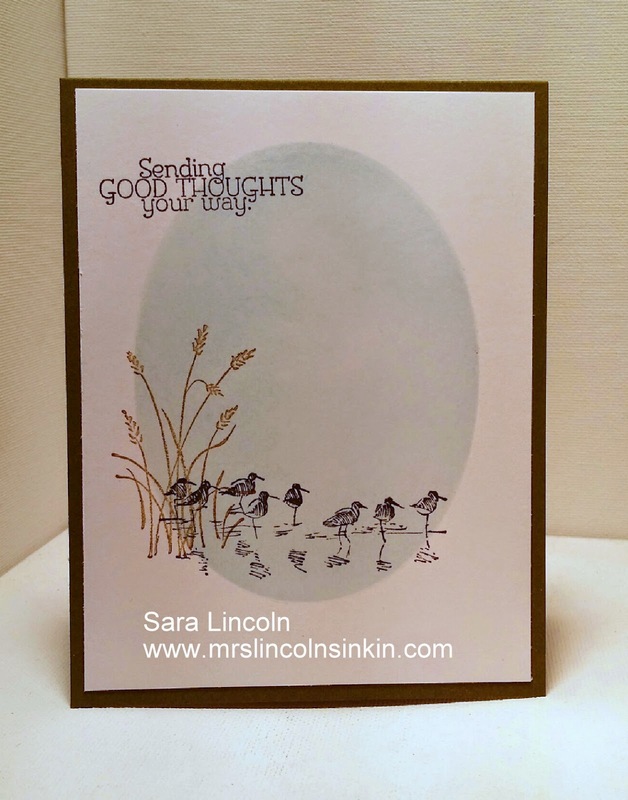 Welcome to Mrs. Lincoln's Inkin' and today's simple card share. A few weeks back I posted a card that used this same sponged oval technique. You can view this entire post HERE. My card measures average size of 4 1/4" x 11" and then scored at 5 1/2". I used Soft Sky ink inside of my oval shape which i cut out using my Oval Framelits and Big Shot and a piece of computer paper. I then took my Sponges, laid my template down on top of my Whisper White that is cut at 4" x 5 1/4" and just sponged inside the template that I made. 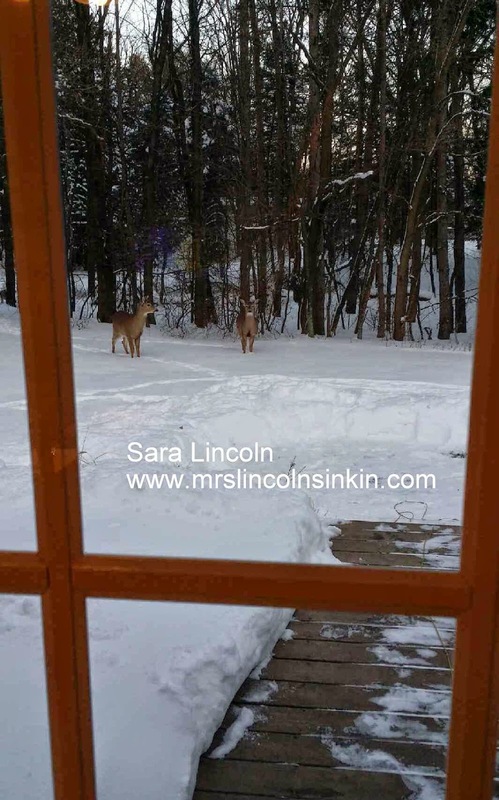 So, on a different note... if you have visited my blog before you have heard me talk about the deer that we always have in our backyard. I keep telling my hubby that my goal is to feed them by hand. He tells me that I am crazy but I know that I can do it:) So, whenever they are out I make a point of opening the door and talking to them so that they get use to my voice. Well every time they come for a visit they get a little bit closer, bit closer, bit closer... below are 2 pictures that I took earlier tonight. I think that they are almost ready for me to make my first "feeding" attempt. I standing right inside of our patio door, they are literally right there. Just begging me to come out. Why didn't I you ask? 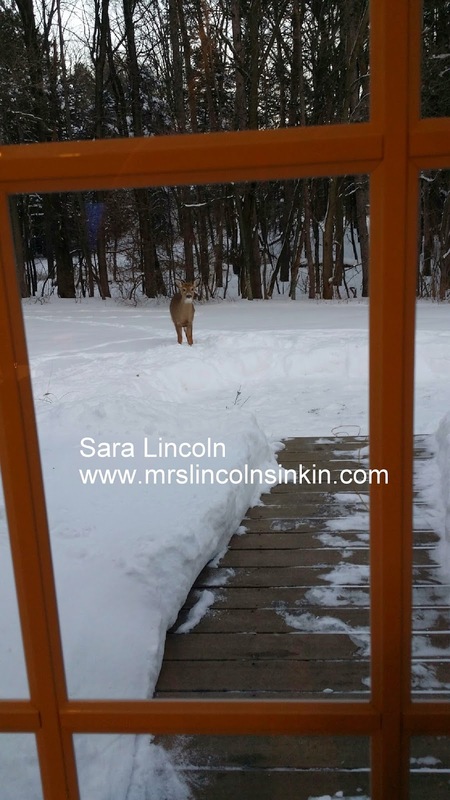 Well, my hubby like I said thinks that I am crazy and literally guarded the door so I couldn't get out. So, next time hopefully! !